Compounded is a game about building chemical compounds through careful management of elements, a fair bit of social play and trading, and just a bit of luck. 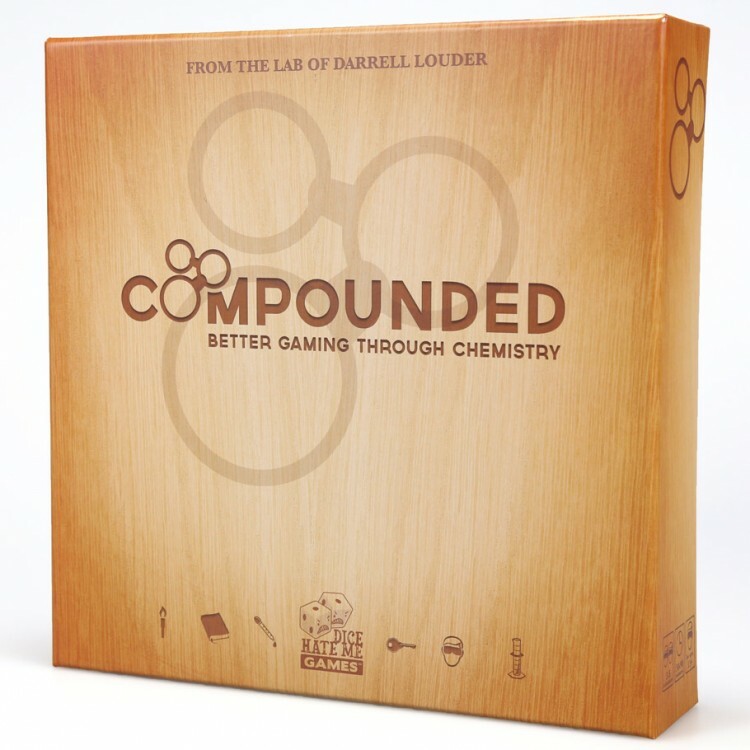 In Compounded, players take on the roles of lab managers, hastily competing to complete the most compounds before they are completed by others - or destroyed in an explosion. Some compounds are flammable and will grow more and more volatile over time; take too long to gather the necessary elements for those compounds and a lot of hard work will soon be scattered across the lab. 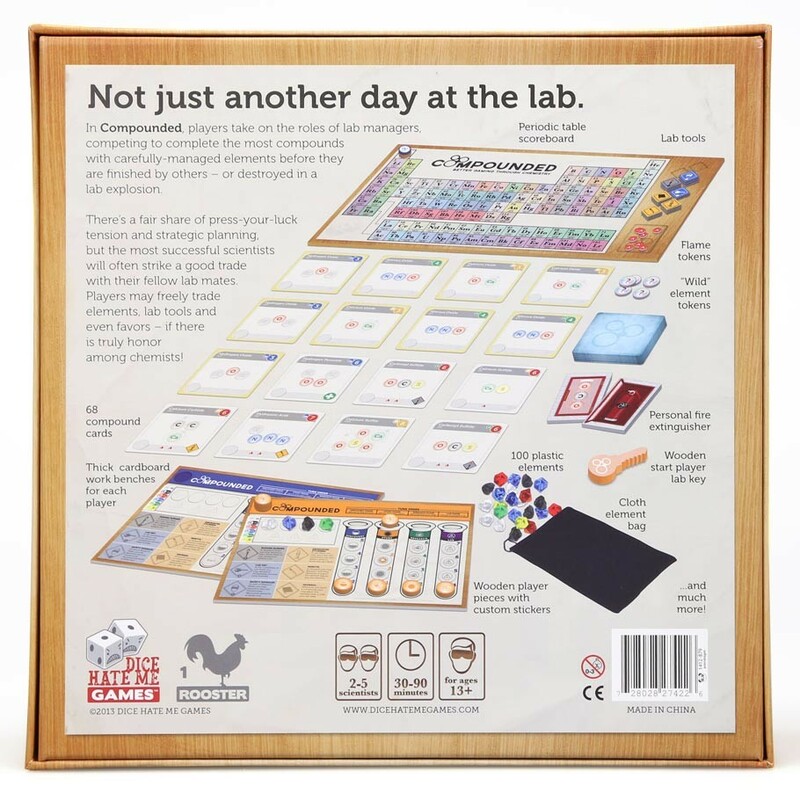 Although Compounded does involve a fair share of press-your-luck tension and certainly some strategic planning, the most successful scientists will often be those who strike a good trade with their fellow lab mates. Players are able to freely trade elements, laboratory tools, and even favors - if there is truly honor among chemists!